You are here: Home / Our Local Environment / We’re on The Move T.C.I…Let Move! The children have enjoyed role play activities including entering an aeroplane and then linking the rest of their day exploring how people travel from one place to the other. They have been using a boarding pass, complete with their photo, to identify themselves and then signed in using pictures of different vehicles depending on how they got to school. The children loved when they could identify the different sounds, functions and colours of the vehicles. Water fun plus bike days have added to the excitement with the children exploring the wonders of how people get to one place or the other on land, sea and air. 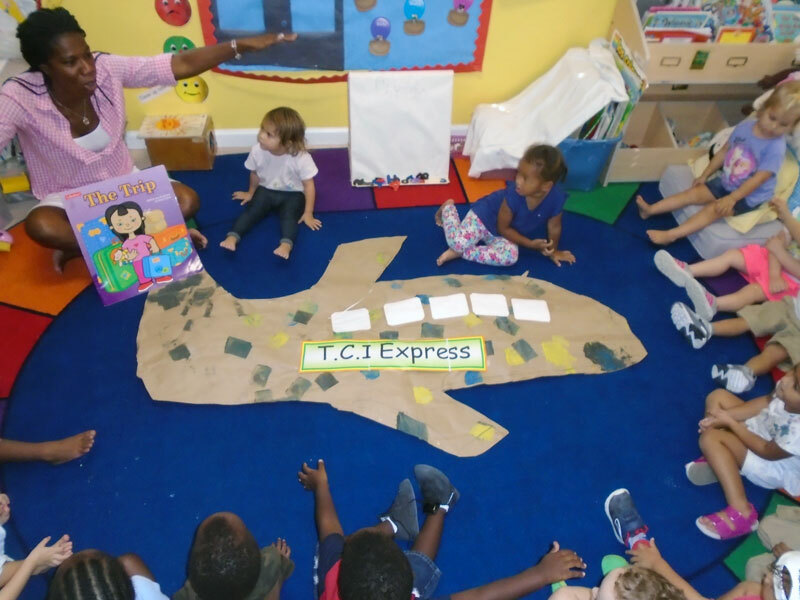 During our circle time, we have been singing nursery rhymes related to traveling such as “The Wheels on the Bus”, “Down by the Station” and “Row, Row, Row your Boat” and learnt to recognise picture clue cards as a symbol for each song. We also take out our trikes, bike and large wheeled toys to the big car park for a super riding time together.